Ethereum is one of the most interesting projects in cryptocurrency, and Ether ETH is the third most valuable cryptocurrency in the market, after Ripple XRP and Bitcoin BTC. (Note: “Ether” is the name of the cryptocurrency, and Ethereum the network. We will occasionally use these interchangeably when describing the cryptocurrency, because that’s what almost everybody does anyway). Ethereum is more than a simple cryptocurrency. Though Ether is used as money everyday, Ethereum itself is a smart contract platform. Smart contracts are ways to use algorithms and other autonomous coding techniques to perform actions on the internet. They’re like little virtual robots, doing work like they’re programmed to do, comprising applications and user experiences of all kinds. This is what makes Ethereum so promising. If Ethereum achieves its potential, it’ll be the basis for a new kind of internet. Applications like social media sites won’t need server farms and all-powerful CEOs. They’ll become decentralized autonomous organizations, just as Ethereum itself is working to become. Ethereum may not fully achieve this brave new world, but if it pulls it off even in small part, it will change the world. It seems already to be doing this. Many corporations and institutions (even that Canadian government) already use certain Ethereum applications. Ethereum is well-led and well-funded, and has the most impressive development team in the industry. We think that Ethereum is going to be relevant for years to come, even if it suffers from increasing competition from market upstarts. NEO, EOS, and Cardano may each be impressive in their own way, but Ethereum is still the king of the smart contract space, and this means that ETH prices have a bright future, at least in our estimation. Like every other cryptocurrency in the space, Ethereum prices rise and fall according to the laws of supply and demand. Ethereum doesn’t actually have a fixed supply; new Ether coins will be mined and added to the network forever. But eventually, the rate of new coins added to circulation will be so slow, that more Ether will be lost than what’s added to the system, so the mature supply of Ether will be deflationary. That’s all in the future though. For today, Ethereum prices are bound to market sentiment. People buy Ethereum for what they think it’s worth. This is what’s known as “market sentiment”. It’s driven by many factors. Ethereum prices might go up one day because investors read in the news that a new corporation is starting to use Ethereum for supply chain management. The price of Ethereum might go down the next day when investors throw a fit at what they interpret as uncertain leadership from Vitalik Buterin. We certainly don’t know the answer to that question, but we believe that Ethereum is working as hard and sincerely as any other cryptocurrency platform in the space. It’ll probably take a couple more years before Ethereum is truly mature, and if we’re being honest Ethereum really may not survive this long. However, while we accept this possibility, we remain optimistic about Ethereum’s future. We think Ethereum will succeed in at least some of its goals, and that Ethereum prices will go up, up, up as a result. At press time, Ethereum prices were at $118, but it wasn’t always this way. Ethereum prices have been much higher, and much lower, than they are today. And volatility will continue to define this cryptocurrency. The question is, how? Ethereum ETH entered the market trading at just a few thousands of a cent. There was a lot of hype behind this ambitious blockchain project, but no one knew if it could deliver, and the Ethereum blockchain had little to show for all its promise. From 2015 into 2016, ETH prices ramped up from pennies to dollars. In early 2017, ETH prices crested $10 for the first time, and from there things started to go a little crazy. Within a year, a single ETH would be trading for nearly $1,400. These prices didn’t last long, and the crypto market crash that followed this all-time high quickly took the starch out of Ethereum and pretty much every other cryptocurrency in the entire industry. But for a brief moment, Ethereum seemed almost priceless, a digital asset destined for valuations in the tens or even hundreds of thousands of dollars. This was not to be, at least not at the time. Today, ETH has lost well more than 90% of its all-time high value. And yet, it’s tens of thousands of times more valuable than it was in its early days. Ethereum continues to be traded for more than $100 because people have not abandoned it. 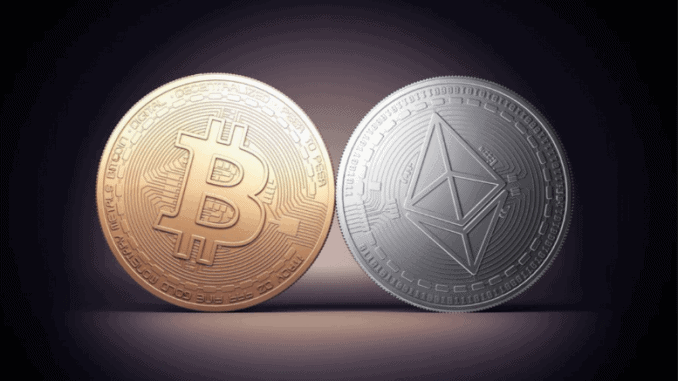 Even as investors are suspicious of its inner workings and actual potential, the crypto market has determined that Ethereum has inherent value. 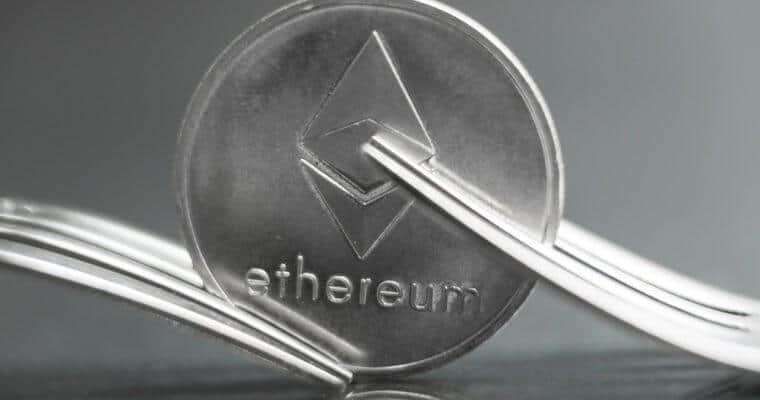 If this is a true foundation, and Ethereum is able to make progress with regard to consensus, Ethereum mining, scaling, and other internal issues, we think Ethereum prices are going to head up in short order. We may be testing past all-time highs in the not too distant future. Let’s look at some Ethereum predictions right now. So let’s assume for a moment that Ethereum is not going to fail, the present crypto marketplace is not going to collapse into oblivion, and that there is in fact a golden dawn on the horizon for this remarkable technology. What is our Ethereum prediction for future Ethereum prices? Let’s take a look year by year. So the big challenge for Ethereum at the moment is to get its diverse set of miners, developers, and users to agree on some important new ways in which Ethereum may function. Mining rewards may be reduced, mining difficulty may increase, sharding consensus models for scaling may be adopted. That all may sound overly technical, but just know that Ethereum has some very big decisions to make, which will make a difference in how the network operates for the rest of its lifespan. What’s more, the powers that be in the Ethereum universe don’t agree about what these changes should be. There’s no way to know if this future will come to pass, but we do have a lot of reason to believe that Ethereum progress is being made. Ethereum is very active on Github, and new features are being added to the network by hard fork every several months. Though delayed, innovations like Casper are still expected in the near future, and the actual implementation of them will make Ethereum’s critics change their tune. Of course, all of this could fail, but we know enough about Ethereum to maintain a cautious optimism, and investment positions that could pay off big time in the medium-to-long term. I enjoy this software, it gives the exact value of ethereum at all time. Very good to use.